Fly to Europe… On the Cheap! You’ve been saving those pennies for that dream vacation to London or Paris but the steps in planning the trip seem daunting. Your first hurdle: buy tickets. After that everything will fall into place. But though the penny jar is full, can you afford the trip? With new credit card incentives, it’s easy to accrue miles for a free ticket. Start by signing up for a credit card that has a low or no annual fee and gives you a big mileage bonus for joining. Then put purchases you normally pay outright—like the mortgage and school tuition—on the card. And here’s an especially clever tip: Ask friends and family to put their purchases on your credit card and then have them write you a check. It’s an easy and wonderful way for them to support your family travel plans and you’ll have 50,000 miles in no time. Most Americans travel to Europe in the summer but there are lots of good reasons to visit in the spring and fall instead, including the price of tickets. Though prices tend to bump up around school holidays like Easter and Christmas, during what folks in the business call the “shoulder season,” fares are as much as 10 times cheaper than in June, July, and August. Finagle your family’s schedule to free up some time during an off-month like March or November, or between spring break and before summer travel, and buy tickets to Europe for a steal. Tickets are usually discounted if you leave first thing in the morning or on the last flight of the day. Tuesdays, Thursdays, and Saturdays are the cheapest times to travel. Consolidators like Expedia and Pricelineadvertise good deals but always double check with the airline itself before buying a ticket. Dive into the serendipity and you can sometimes get amazing deals. United Airlines’ Web site posts E-fares on Tuesdays for the following weekend or the weekend after. These can be as low as a couple-hundred bucks to Europe. 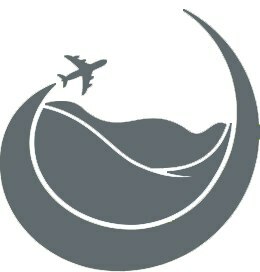 Another good place to look for last minute steals is www.lastminute.com (1-866-999-8942). It may seem crazy to decide a week before you’re crossing the continent with the kids to go on such a big trip, but we say strike when you can afford to visit the blacksmith’s! Most people don’t realize when airlines open new destinations, like Air France’s non-stop flight from Seattle to Paris, or United’s new Moscow routes, they kick off with rock-bottom introductory fares. © FAMILY TRAVELLING 2019. All rights reserved.